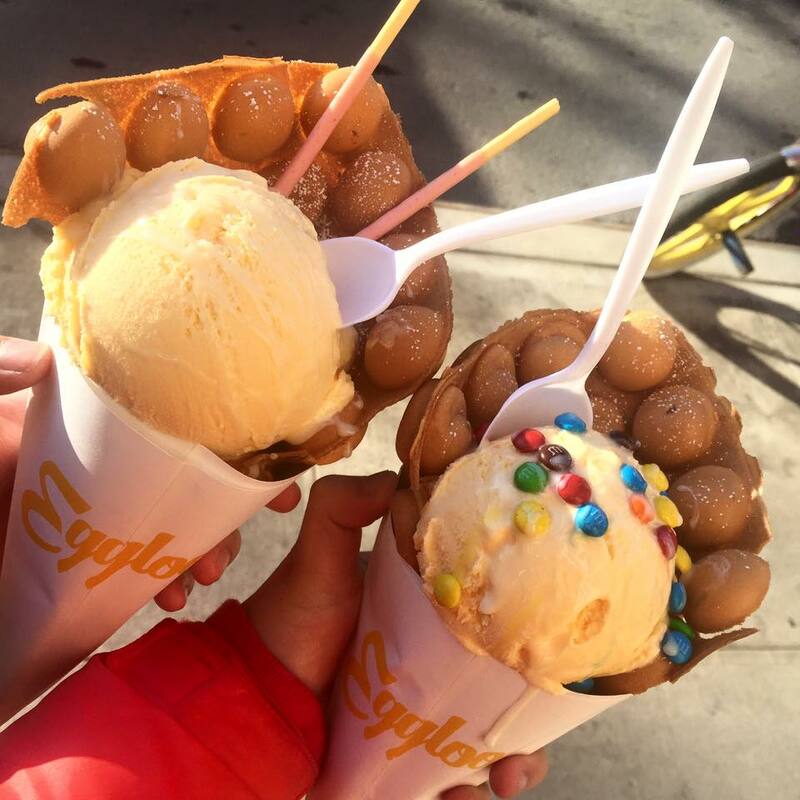 Inspired by a Hong-Kong street food, Eggloo created the ultimate sundae: a fluffy 'egg waffle' stuffed with ice cream and toppings galore. Earlier this February, amidst Valentine’s Day Weekend, the new Hong Kong ‘egg waffle’ shop, Eggloo, held its grand opening on 60 Mulberry St, New York City. 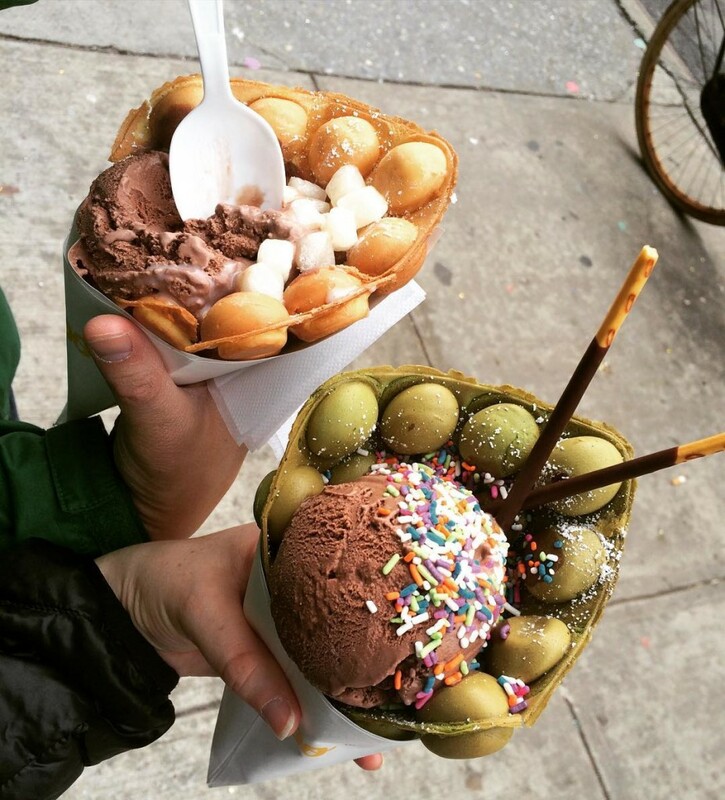 Thousands, from all parts of the city, flooded into Chinatown in anticipation for the Insta-worthy treat. After hours in line, braving the freezing weather and numbing toes, the seemingly endless wait was over – and totally worth it. Foodies are converted into fans as the scent of fresh-pressed waffles and ice cream wash over them, rewarding their patience. Eggloo caters to both sweet and savory, with ‘egg waffle’ flavors ranging from Matcha Green Tea and Chocolate to Chinese Sausage & Chives and Pizza. But what they’re best known for are the waffle cones. For just eight bucks, you can choose from an array of toppings and fillings (you heard right – stuffed egg waffles), and a fat scoop of ice cream. The best part? They’ve only just begun business, but are already seriously killing the foodie game. And we can’t wait to see what summer has in store.